Barely two weeks after NYSC DG informed corps members about increase in their allowance, transportation and local allowance have been increased. 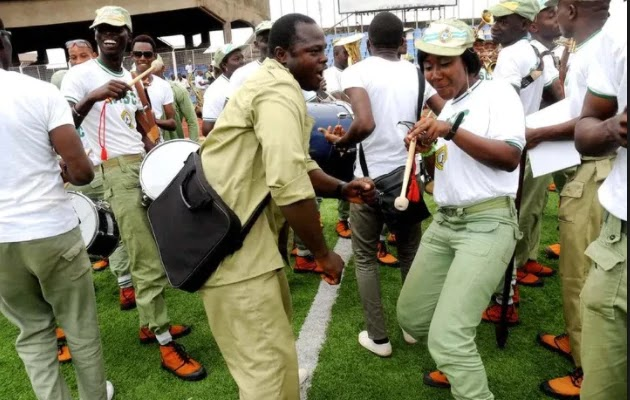 As the 2018 Batch, A Stream 1 Corps Members are rounding off their orientation course, the National Youth Service Corps has announced an increase in their transportation allowance. The Scheme's Director, Press and Publications Mrs Adenike Adeyemi announced the increase in transport and local allowances in a statement. The statement states that the transport allowance for each corps member has been increased from N1,500 to N1,800, while the local allowance is now N1,400 up from N1,000. The statement also reads that the increase was in line with the Federal Government’s approved minimum wage for Civil Servants. Recall that on Monday, April 23, 2018, the NYSC Director-General, Sulaiman Kazaure said that the increase in corps members allowance will be determined by the Federal Government's new national minimum wage. Kazaure while fielding questions from newsmen made this announcement after the swearing-in ceremony of the 2018 Batch ‘A’ corps members at the NYSC orientation camp in Kusalla, Karaye Local Government Area of Kano state. He said “our efforts to ensure that the monthly allowance of the corps members is increased have yielded a very good result following series of discussion with the Minister of Labour and Productivity, Chris Ngige.